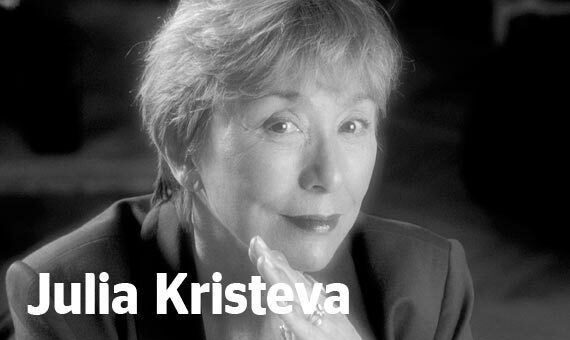 Julia Kristeva is an author, psychoanalyst, professor emeritus at the University of Paris Elle 7 – Diderot and a titular member of the Paris Psychoanalytical Society. A Doctor Honoris Causa of numerous universities in the United States, Canada and Europe, Commander of the Legion of Honor (2015), Commander of the Order of Merit (2011), first laureate, in December 2004, of the Holberg Prize, she was awarded the Hannah Arendt Prize in December 2006 and the Vaclav Havel Prize in 2008. She is the author of thirty works, among them: Revolution in Poetic Language, the trilogy of Female Genius: Hannah Arendt, Mélanie Klein and Colette and the story Thérèse, My Love. Conference Europe ou le chaos (Europe or chaos), celebrated at the Théâtre du Rond-Point des Champs Elysées, January 28, 2013.